Using the basic model of giving and receiving gifts, this project explored the potential of found objects as prompts for creative action. Once a day objects were exchanged, inviting the individual to consider the material, history, associations, etc. and to generate lists and drawings of possible approaches. Both artists then met to share ways in which they could collaboratively generate new work from this material. The outcomes are as diverse as the objects themselves and rely on the collective sensitivity of the collaborators. Below are a small selection of processes and outcomes from the project. 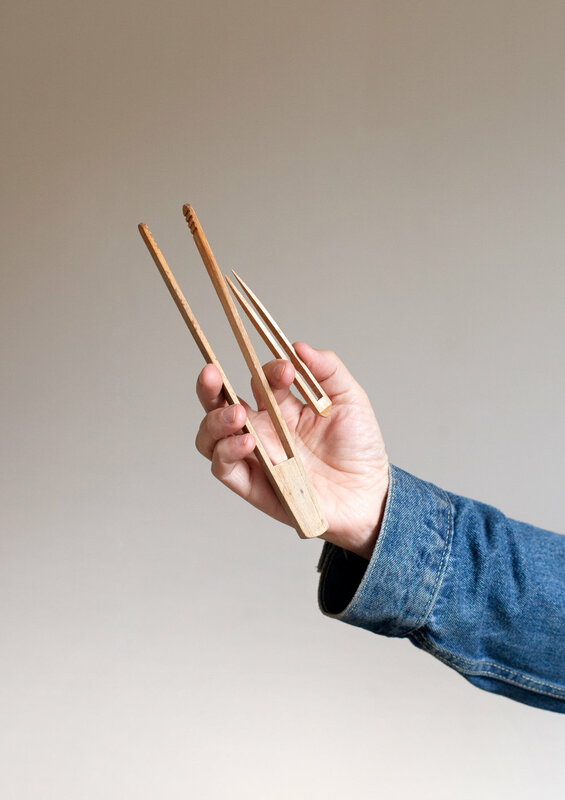 Gift number 0ne – Two pairs of wooden tongs, one small, one large. Two people, using one set of tongs each, attempt to collaboratively accomplish a series of everyday tasks. Tasks included replacing a burnt out lightbulb, folding and sealing a letter and lighting and extinguishing a pair of candles, amongst others. The fabric pieces were carefully examined and ironed flat. 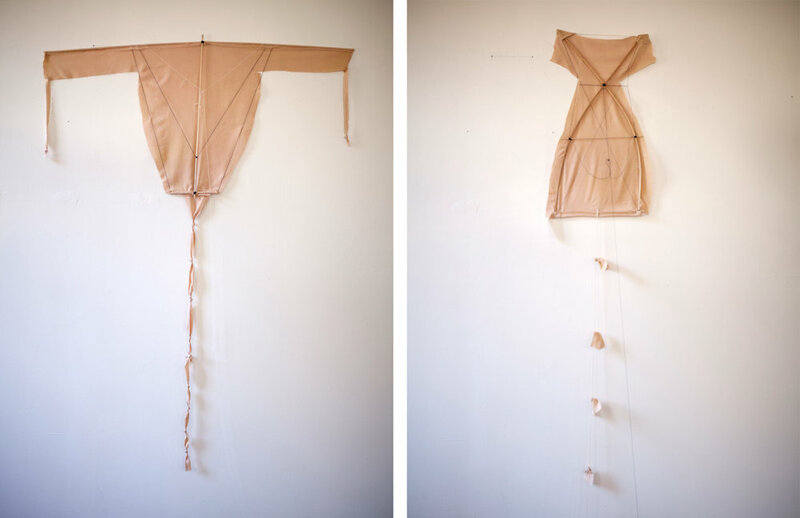 Without altering their existing forms each section was constructed into a functional handmade kite. 1. Using ten, 100ft extension cords the light was moved from a bedside table to the top of a hillside behind the house. 2. Two performers alternately circle a group of lamps. One worked to keep them lit, the other to extinguish them. 3. The light was presented to the closest expert on lights, the lighthouse keeper at Point Bonita Lighthouse. His opinion was sought on the similarities and differences between the two light sources. 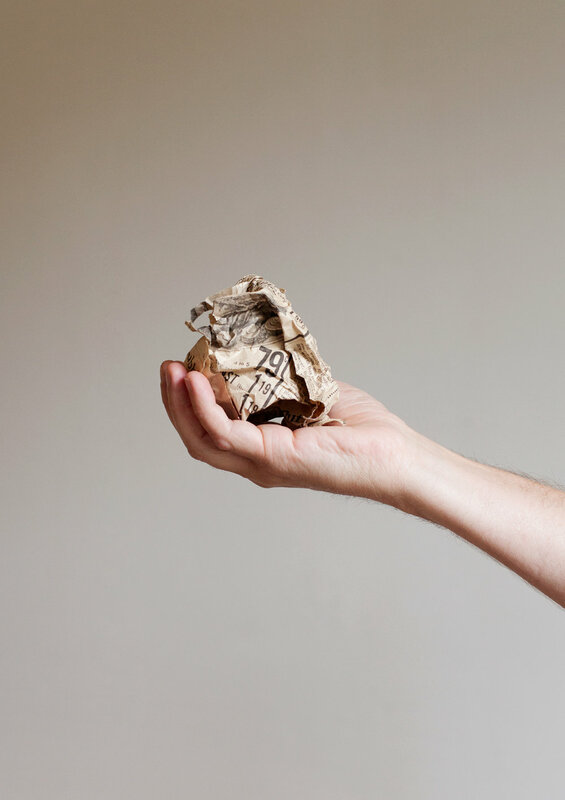 Without opening up the crumpled ball, a list was made of all visible words and phrases. This list was given to the poet Kazim Ali, who composed a poem in response. The list and resulting poem were combined in a parallel audio reading. 1. Misremembering a similar observatory on a hilltop nearby we undertook a six mile walk to search for it. 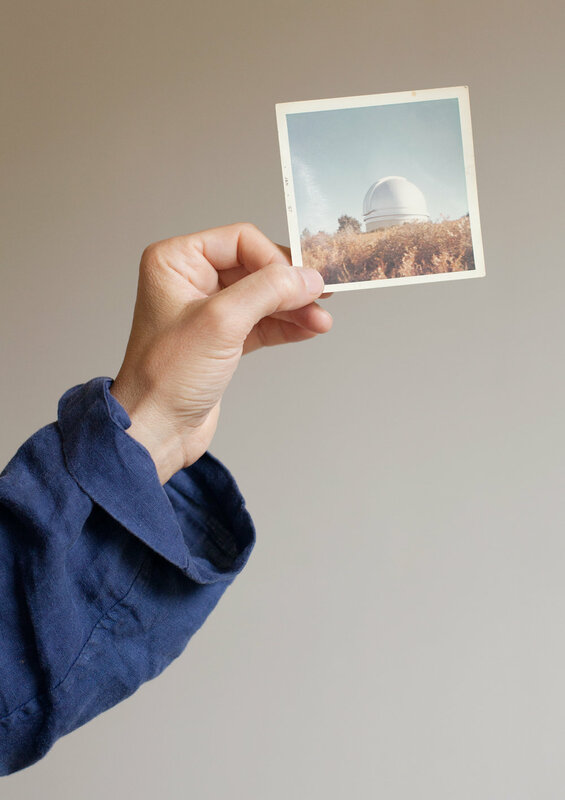 The photograph was rephotographed against hilltops where it might have been situated, but wasn’t. 2. A photograph of the moon the observatory would have seen in January 1967. Performing artist Monique Jenkinson improvised a choreography in response to the movement of the spinning top and found objects from her studio.